There are some families of birds that are referred to by colour. The black birds are no exception. There are a number of bird types that fit this category. From the large ravens and crows to the medium-sized grackles to the smaller birds, such as blackbirds, cowbirds, and starlings. All these birds are mostly found in fields and sometimes in the woods. The crows and the starlings are more comfortable around people and can also be found in cities. Some of the black birds are more aggressive and are feared by other birds. The ravens and crows are scavengers who will feed on carrion and farm crops. 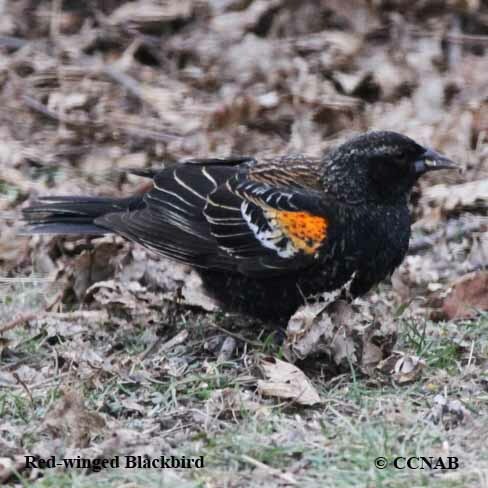 The blackbirds, cowbirds and the starlings prefer insects and farm crops such as wheat and other cereal types. There is a general perception that because these birds feed on crops and are discouraged from this act, that they have become more aware of mankind and have developed different methods of avoiding people and are thought to be more intelligent than most other bird types.